After many days of prodromal labor -- which is a special kind of torture -- Shauna and Dustin called me in on Sunday evening, late at night. A special at-home webster technique chiropractic treatment had finally gotten the labor to stick and start up in earnest. This was the night. 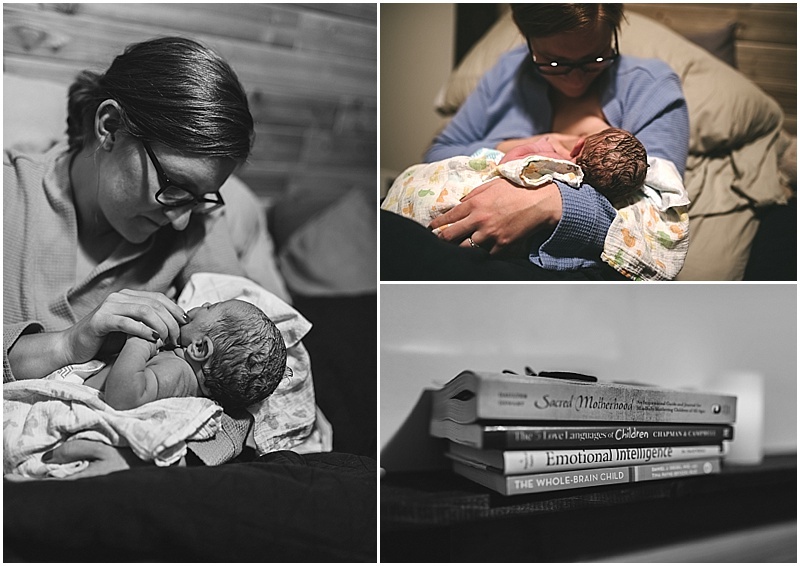 I arrived to find Shauna just about to sink into the recently filled birth pool, the walls around her covered with birth affirmations, and Dustin, midwife Shannon, and sister moving quietly around her, tending to every need and detail. Their daughter Tatum was upstairs watching Disney movies with grandma, but occasionally came downstairs to check in on her mama. 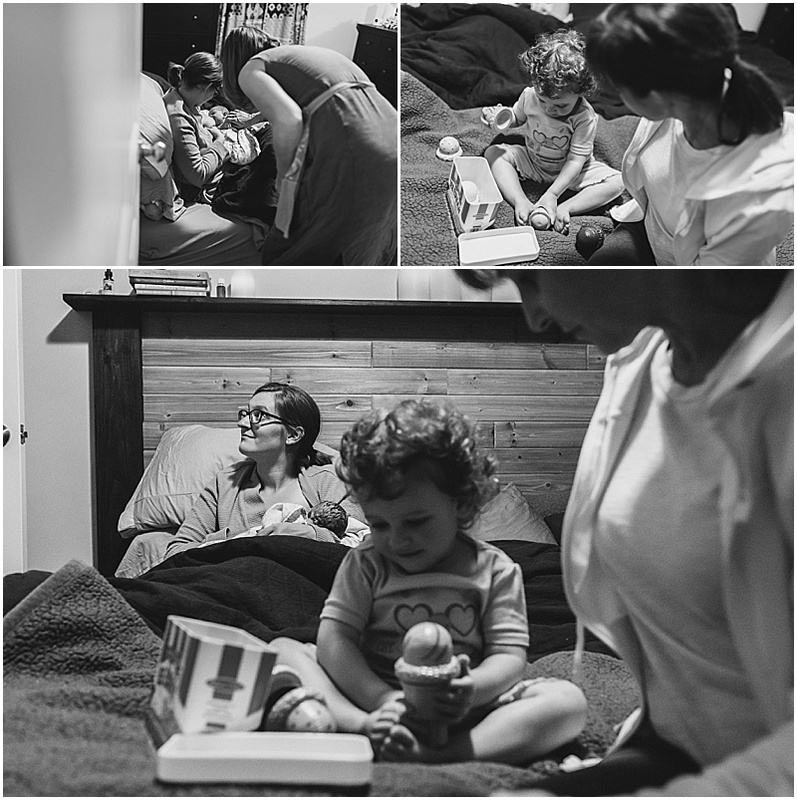 It was quiet throughout the house and Shauna was already deep into labor land, that special altered state of being that a mother laboring unmedicated invariably enters into at a certain point. 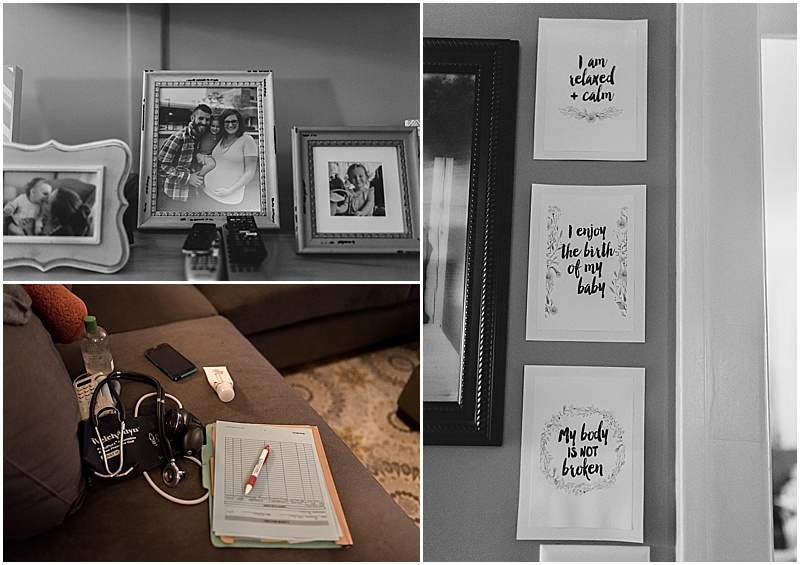 Shauna's last labor was relatively quick, particularly the pushing stage. 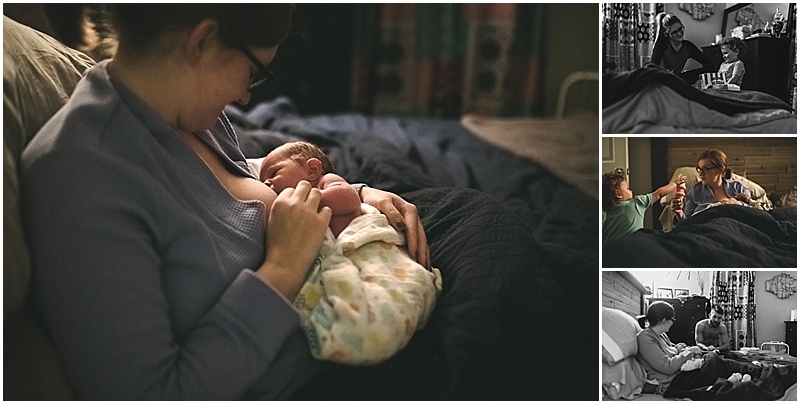 Knowing that, her midwife took her seriously when after what was a very short time, Shauna indicated in a smooth tone that she was pretty sure the baby was very close to being born. 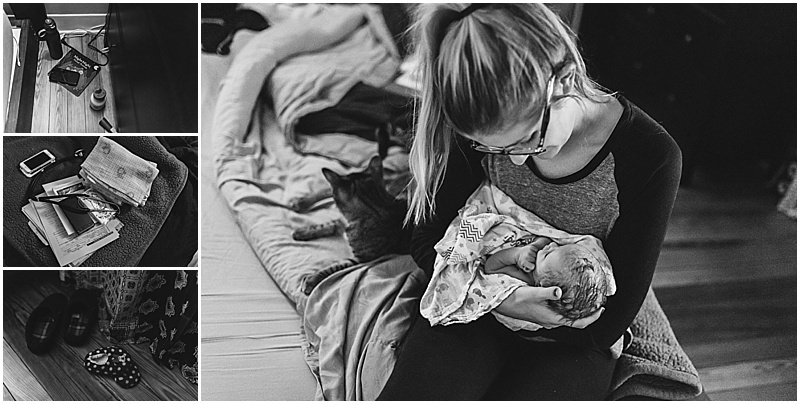 A mirror held under her in the pool showed that she was right, and the midwife and I watched with happy interest as more and more of their baby's head appeared, while Dustin held Shauna tight as she gently cooperated with what her body was doing. Shannon reached down and received the slipper blue-pink baby as she slipped quietly out, lifting her through the water and immediately through Shauna's legs and up to her chest. Gender was a surprise, and they were pleased to find upon peeking, that they had a second daughter. 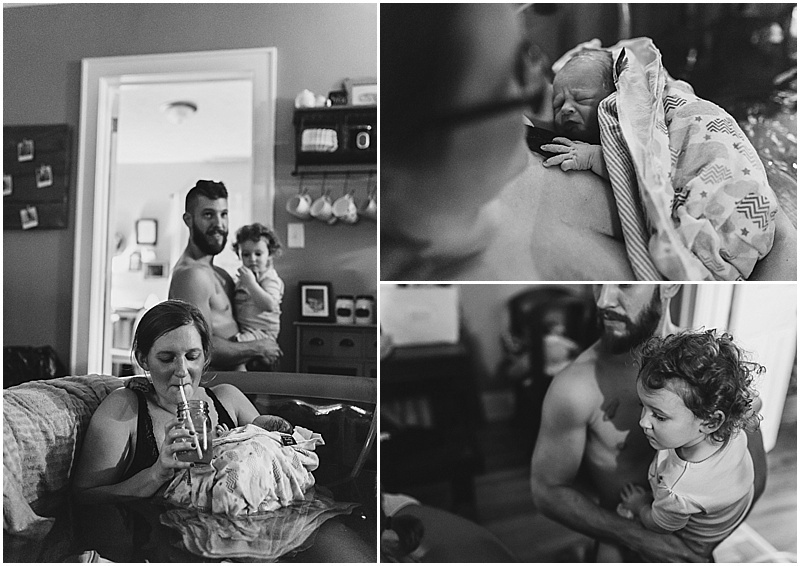 The holy hours immediately following Lochlan's birth were spent with uninterrupted skin-to-skin time, placenta delivery, cord clamping/cutting, first latch-on, and bringing Tatum down to meet her new sister (this moment always slays me!). 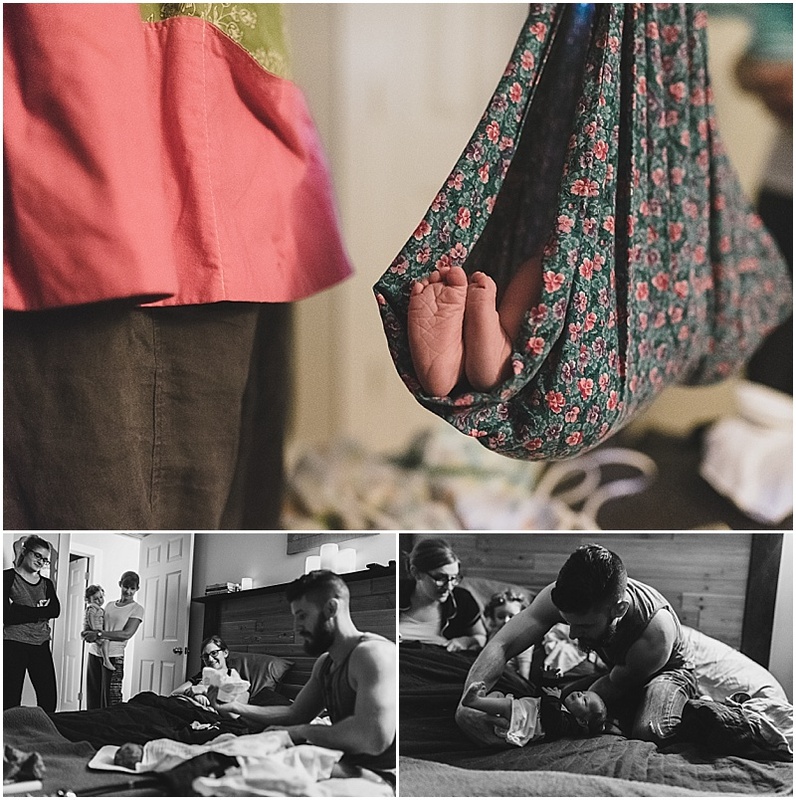 After Shuana was all tucked into their bed, the whole family, who bed shares, got happily situated with her while Shannon did the newborn exam, and then Dustin -- a chiropractor -- adjusted his new daughter. So much tenderness surrounded them, so much affection. As Shauna later wrote as a caption beneath the last photo in this post, "I don't know how life can get any better than this moment in time." This is birth. This is love.